The ELD Mandate Appears to Affect Only the Few BUT Actually Affects US ALL!! Concerning ELD’s and OOIDA’s court battle against the FMCSA, I think we need to break things down to better understand the nature of the issue. Basically there are 4 groups of Drivers. 4-Independents, who are actually one truck carriers. While OOIDA represents ALL Truck Drivers, I feel that, on the surface, this court case pertains to the Independents more so than the rest of us. Should an Independent have to monitor themselves? An Independent has a lot invested in equipment. They also must maintain records and all other documentation in order to have their own authority as they are subject to scrutiny at any moment by FMCSA. These Drivers have a lot on the table that could easily be lost if they don’t manage their business properly or if they gamble with the regulations. Personally, I believe that Independents have too much to lose and that burdening them with ELD’s is unnecessary. Company Drivers have no say whether their truck will be equipped with an ELD as it is up to the carrier to decide. I personally believe that Employee OTR Drivers are AT Work / Working the entire time that they are stationed to the truck UNLESS they have requested and have been granted personal time off. I believe that these Drivers should be paid 24/7 while they are AT Work / Working. As these employees are AT Work, these employees should have the right to privacy no different than any other employee who is AT Work. Cameras are not allowed in bathrooms or clothes changing rooms for example. ELD’s and rear facing cameras that monitor and supervise the employee verify the fact that they are AT Work. After all, the employer does Not Monitor and Supervise the Employees When THEY ARE AT HOME!!!! When they are AT Work, employees may be granted liberties so that they may continue to work. When employees are Not AT Work, they have the freedom to do as they please to a degree. Understand, this job even follows Drivers home as we may not work for pay without reporting the hours we worked on our Drivers log book. The carrier expects their employees to have Available Working Hours upon returning back to work. Having these expectations asserts a degree of control over the Employees Personal Time. What other Semi Skilled Professional is penalized for having a part time job? Lease Purchase Drivers Not meaning any disrespect, Lease Purchase Drivers are Employee Drivers who are renting a truck from the carrier. The carrier will decide if they will have an ELD or other monitoring device in the carriers truck. 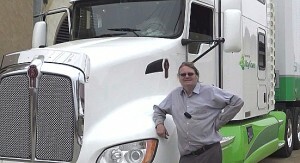 Owner Operators, such as myself, own the equipment that is leased to a carrier and works under the carriers authority. Again, the carrier will dictate whether or not an ELD is to be used and it makes sense that they will utilize ELD’s as a management tool. I have grown to accept that I will be required to use an ELD as the carrier I am leased to has the operating authority that I work under. They are responsible for maintaining my log book records and an ELD makes it easier for them to do so as well as track my mileage for IFTA. There are other advantages for the carrier as well.It’s my choice whether or not to stay an OO or to move up to being an Independent Owner Operator. Independent Driver – If I were an Independent, operating under my own authority, I would utilize an ELD for the same reasons that carriers use them. I already know and understand that I am AT Work / Working when I am anywhere USA in the truck in order to earn a living so an ELD only becomes another obstacle to work around no different than traffic. The truck needs oil, diesel, and fuel to operate and the Driver is no different.Proper maintenance of both the Driver and the truck is crucial to the customer and for public safety. Personal Conveyance Rules – I do believe that personal conveyance rules no longer apply as there is no such thing as “Personal” if you are being surveilled 24/7. These rules need to be modified so as to allow ALL Drivers to use the truck for commuting such as to the grocery store or between work place and resting place without penalty.I fully understand why single truck owners who have their own authority do not want or feel that they need these monitoring devices. These Drivers work for themselves and are responsible for themselves and their clients. They also must answer to the FMCSA in audits and during inspections.These Drivers have too much to lose by gambling with safety. If anyone has skin in the game, these drivers do. 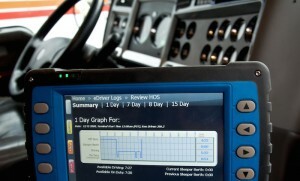 Should We ALL Back OOIDA’s case against ELD’s? I believe so. I fully back OOIDA in their efforts as this is a precedent setting case. If a line is not drawn in the sand, what will come next?? I have already been made aware of watches and other body monitoring devises that are supposed to monitor the driver for fatigue. There are sensors for the seats and the beds as well as rear facing cameras that are capable of monitoring eye movement for fatigue. While I don’t like the thought of all of this invasive monitoring, I am at the pleasure of the carrier I am leased to. If OOIDA loses this case what may we expect to come in the future? If OOIDA loses this case what precedent will be established that may affect other industries and possibly even our personal lives? So what are WE to do about all of these monitoring devices? I think we start with the Employee OTR Drivers. We need to ensure that these Drivers are Properly Paid for ALL Time that they are being monitored and supervised while they are stationed to a truck anywhere USA. They must be ready, willing and AVAILABLE to perform the duties of the job as prescribed in the FMCSR’s while following company policy to be eligible to be paid for their time, otherwise I would consider them to be Unavailable and they should go unpaid. 3. Regulatory detention as the FMCSR’s require a ten hour and a thirty minute break in which the Driver may not work as required by the regulations for which the Drivermay be terminated for NOT Being In Compliance With. Tell me of any other job where the employee may be fired for NOT Taking A BREAK? Furthermore, an Employ Driver that is being paid for “All Time” would have no need to operate unsafely or out of compliance. What about “lazy truck drivers”? The ELD Knows All That The Driver Does and terminating lazy unproductive drivers will be an option to the carriers. The Employee Drivers incentive to do a good job will be no different than any other employee, a good paying job and JOB SECURITY. Freight Rates Down holds ALL of US BACK! Rip Off lease purchase programs that place Cheap Capacity into the market will decline or come to an end as hungry Employee Drivers would not need to fall for these scams hoping to earn more. As the Employee OTR Driver would be earning a fair wage fitting the job, enticing a company Driver with a new truck and then not giving them the miles they need to pay for it would come to an end. Many speculate that ELD’s will increase Drivers wages. I don’t believe so because as long as there is a Cheap Labor force willing to be manipulated into WORKING for FREE, lost capacity due to ELD’s will quickly be replaced by units filled with Employee Drivers who are paid “When the Wheels Are Turning”. CHEAP FREIGHT Relies on CHEAP LABOR! Regulations are easy to implement as the cost is minimal due to CHEAP LABOR! Safety Comes At A Price that “We The Drivers” are paying in Lost Wages due to affordable regulations. For most, the pay is unfit for the JOB of being AT Work unable to enjoy the Freedoms that a Job Should Afford an OTR Driver! © 2016, Pat Hockaday. All rights reserved. I guess it would be easier to take if I really thought this had anything at all to do with highway safety. In my beliefs, if HOS were the real culprit on poor highway safety their would be a DOT cop standing on the ramp at every set of scales, 24/7. I consistently run 3000 miles weekly and it’s been more than four months since anyone asked to see my log book. With 23 years experience I have learned to manage my time, take the loads I know I can deliver on time, and not run over anyone in the process. Yes, I do run outside my log book from time to time and I do run over weight from time to time, however I have a near perfect safety score (one warning ticket for speeding in 9 years.) I understand that we do not have the unity to stop the new regulation but as an independent owner/operator, I do not need them. I have stated before that it is my opinion that this is all attributable to the ATA member carriers attacking small business to remove the option of independent owner /operators and smaller fleets to help boost driver retention. If the ATA can make owning and operating your own truck more expensive and burdensome why bother. Just drive for Prime or Swift and let their computer tell you what you can and can’t earn. I’m deeply saddened to see a way of life and entrepreneurial spirit be squashed by regulations that will improve nothing. Great article………… Still trying to decide what I am going to do. I have been looking at older truck (99 or earlier) to avoid this scam. Or getting out of the industry all together. Let just hope OOIDA can get this nonsense that has been lobbied by the ATA for the last 20 years. The ATA has spend billions buying these government idiots that know nothing about the Trucking industry. If the government was concerned with safety they would have changed the way drivers are paid and there would be no need for HOS compliance rules. Drivers should be paid while waiting, driving, tarping, etc. etc. etc. If drivers were paid for waiting 10 hours at a plant or mill, they would not get on the road and try to drive 11 hours (all forced or pressured by their company) and this example is something I see everyday and they are on ELD ( 2 are big ATA companies) These guys are some of the worse HOS violators and what they do is legal the way they show it. If you want the fix this industry and make it safer, do away with mileage and percentage pay…… All drivers MUST be paid by the hour.